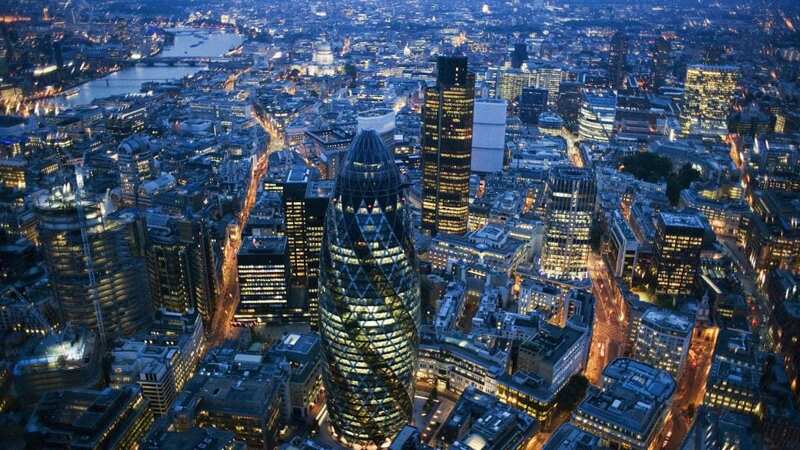 Michael Bloomberg says London will keep rising as a global capital at opening of new European HQ, regardless of how the UK’s relationship with the EU changes. The billionaire businessman and former New York mayor was speaking as he opened Bloomberg’s new European headquarters in the Square Mile. Bloomberg’s new hub on Queen Victoria Street, which stretches across 1.1m square feet has been designed by Norman Foster, whose design achieved the highest level of sustainability for a major office ever awarded by BREEAM. London mayor Sadiq Khan attended the opening with Bloomberg “Thank-you for the vote of confidence in London,” he said. Royal Bank of Scotland (RBS) Net profits have surpassed expectations as bank heads for first year in the black since 2007. RBS was one of the major players who suffered during the financial crisis and was bailed out by the government. The state backed bank made a loss of £469m last year and turned that around into a £392m profit this year. However, the bank said it could not be sure of a full-year profit, since it was hoping to settle a dispute with the US Department of Justice. It relates to claims that RBS mis-sold mortgage bonds leading up to the 2008 banking crisis. The cost of that settlement is likely to push RBS into a loss. Global Giants Amazon & Google’s Parent Alphabet have posted a surge in sales over the last 3 months. Shares in Alphabet jumped above $1,000 in after-hours trading after the company reported sales up 24% to $27.8bn. Alphabet’s profits for the three months to 30 September rose to $7.8bn, from $5.6bn for the same quarter last year. YouTube continued to see phenomenal growth. Amazon, the world’s biggest e-commerce site, saw sales rise 34% to $43.7bn. Meanwhile, Microsoft’s profit beat estimates on gains from cloud services. Shares surged in after-hours trade anyway, as investors, who had been expecting a smaller number after being warned to expect the reinvestment, cheered the firm’s growth prospects. As bitcoin flirts with another record high, prices of many tokens that startups sold to raise capital are crashing. Ethereum Token Index is down nearly 16 percent in the last month. Around 10 percent of the money invested in tokens has already flowed out because of the software switch. Bitcoin cash, the new iteration of the currency when it split for the first time last summer, rallied for almost a month before declining. After a second split this week, bitcoin continued its rise, while holders also got bitcoin gold, which is currently worth about $122. Bitcoin’s price has more than doubled, to $5,956, since the time of the first split. One billionaire is created every three weeks in China. Billionaire wealth increased 17 percent to $6 trillion in 2016, after a decline the previous year, UBS Group AG and Pricewater house Coopers said in a report issued Thursday. Led by China, the number of the region’s billionaires surpassed the U.S. for the first time. Asia’s economic expansion saw is phenomenal and should that pace continue, Asia would overtake the U.S. as the world’s largest concentration of wealth in four years. Three-quarters of the world’s new billionaires hail from China and India. Better than expected Economic growth are signs the City will get a budget it’s needed for years. Many economists believe that the present deficit of 2.6% is low enough to satisfy the markets that the government is fiscally competent and has public debts under a modicum of control. And the Chancellor is under increasing political pressure from cabinet colleagues to loosen the purse strings but Phillip Hammond seems determined to live within our means. But better-than-expected economic growth figures have created an impetus and whispers of interest rate rises amongst other fiscal adjustments can be heard around the City. The Budget is due on 22 November.